Tory Burch eyewear is now selling worldwide in Tory Burch stores and licensed optical boutiques. In just a few years after the initial launch of Tory Burch glasses collection, her glasses became one of the best selling due to innovative styles and low price tag. Buy Tory Burch TY2094 glasses online at a friendly price. Originally made in 2018, Tory Burch 2094 are lightweight plastic frames. Each pair of authentic Tory Burch glasses ships worldwide with Tory Burch glasses case and a cleaning cloth. Buy Tory Burch TY2093U glasses online at a friendly price. Originally made in 2018, Tory Burch 2093U are lightweight plastic frames. Each pair of authentic Tory Burch glasses ships worldwide with Tory Burch glasses case and a cleaning cloth. Buy Tory Burch TY2092U glasses online at a friendly price. Originally made in 2018, Tory Burch 2092U are lightweight plastic frames. Each pair of authentic Tory Burch glasses ships worldwide with Tory Burch glasses case and a cleaning cloth. Buy Tory Burch TY2091 glasses online at a friendly price. Originally made in 2018, Tory Burch 2091 are lightweight plastic frames. Each pair of authentic Tory Burch glasses ships worldwide with Tory Burch glasses case and a cleaning cloth. Buy Tory Burch TY7128 sunglasses online at a friendly price. Originally made in 2018, Tory Burch 7128 are lightweight plastic frames. Each pair of authentic Tory Burch sunglasses ships worldwide with Tory Burch glasses case and a cleaning cloth. Buy Tory Burch TY7127 sunglasses online at a friendly price. Originally made in 2018, Tory Burch 7127 are lightweight plastic frames. Each pair of authentic Tory Burch sunglasses ships worldwide with Tory Burch glasses case and a cleaning cloth. Buy Tory Burch TY7126 sunglasses online at a friendly price. Originally made in 2018, Tory Burch 7126 are lightweight plastic frames. Each pair of authentic Tory Burch sunglasses ships worldwide with Tory Burch glasses case and a cleaning cloth. Buy Tory Burch TY7125 sunglasses online at a friendly price. 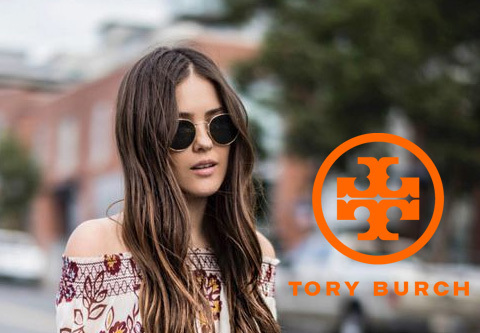 Originally made in 2018, Tory Burch 7125 are lightweight plastic frames. Each pair of authentic Tory Burch sunglasses ships worldwide with Tory Burch glasses case and a cleaning cloth. Buy Tory Burch TY7124 sunglasses online at a friendly price. Originally made in 2018, Tory Burch 7124 are lightweight plastic frames. Each pair of authentic Tory Burch sunglasses ships worldwide with Tory Burch glasses case and a cleaning cloth. Buy Tory Burch TY7123 sunglasses online at a friendly price. Originally made in 2018, Tory Burch 7123 are lightweight plastic frames. Each pair of authentic Tory Burch sunglasses ships worldwide with Tory Burch glasses case and a cleaning cloth. Buy Tory Burch TY6066 sunglasses online at a friendly price. Originally made in 2018, Tory Burch 6066 are lightweight metal frames. Each pair of authentic Tory Burch sunglasses ships worldwide with Tory Burch glasses case and a cleaning cloth. Buy Tory Burch TY6065 sunglasses online at a friendly price. Originally made in 2018, Tory Burch 6065 are lightweight metal frames. Each pair of authentic Tory Burch sunglasses ships worldwide with Tory Burch glasses case and a cleaning cloth. Buy Tory Burch TY2090 glasses online at a friendly price. Originally made in 2018, Tory Burch 2090 are lightweight plastic frames. Each pair of authentic Tory Burch glasses ships worldwide with Tory Burch glasses case and a cleaning cloth. Buy Tory Burch TY2088 glasses online at a friendly price. Originally made in 2018, Tory Burch 2088 are lightweight plastic frames. Each pair of authentic Tory Burch glasses ships worldwide with Tory Burch glasses case and a cleaning cloth. Buy Tory Burch TY2089 glasses online at a friendly price. Originally made in 2018, Tory Burch 2089 are lightweight plastic frames. Each pair of authentic Tory Burch glasses ships worldwide with Tory Burch glasses case and a cleaning cloth. Buy Tory Burch TY2087 glasses online at a friendly price. Originally made in 2018, Tory Burch 2087 are lightweight plastic frames. Each pair of authentic Tory Burch glasses ships worldwide with Tory Burch glasses case and a cleaning cloth. Buy Tory Burch TY2086 glasses online at a friendly price. Originally made in 2018, Tory Burch 2086 are lightweight plastic frames. Each pair of authentic Tory Burch glasses ships worldwide with Tory Burch glasses case and a cleaning cloth. Buy Tory Burch TY7121 sunglasses online at a friendly price. Originally made in 2018, Tory Burch 7121 are lightweight plastic frames. Each pair of authentic Tory Burch sunglasses ships worldwide with Tory Burch glasses case and a cleaning cloth. Buy Tory Burch TY7120 sunglasses online at a friendly price. Originally made in 2018, Tory Burch 7120 are lightweight plastic frames. Each pair of authentic Tory Burch sunglasses ships worldwide with Tory Burch glasses case and a cleaning cloth. Buy Tory Burch TY7119 sunglasses online at a friendly price. Originally made in 2018, Tory Burch 7119 are lightweight plastic frames. Each pair of authentic Tory Burch sunglasses ships worldwide with Tory Burch glasses case and a cleaning cloth. Buy Tory Burch TY7118 sunglasses online at a friendly price. Originally made in 2018, Tory Burch 7118 are lightweight plastic frames. Each pair of authentic Tory Burch sunglasses ships worldwide with Tory Burch glasses case and a cleaning cloth. Buy Tory Burch TY6064 sunglasses online at a friendly price. Originally made in 2018, Tory Burch 6064 are lightweight metal frames. Each pair of authentic Tory Burch sunglasses ships worldwide with Tory Burch glasses case and a cleaning cloth. Buy Tory Burch TY6063 sunglasses online at a friendly price. Originally made in 2018, Tory Burch 6063 are lightweight metal frames. Each pair of authentic Tory Burch sunglasses ships worldwide with Tory Burch glasses case and a cleaning cloth. Buy Tory Burch TY6062 sunglasses online at a friendly price. Originally made in 2018, Tory Burch 6062 are lightweight metal frames. Each pair of authentic Tory Burch sunglasses ships worldwide with Tory Burch glasses case and a cleaning cloth. Buy Tory Burch TY6061 sunglasses online at a friendly price. Originally made in 2018, Tory Burch 6061 are lightweight metal frames. Each pair of authentic Tory Burch sunglasses ships worldwide with Tory Burch glasses case and a cleaning cloth. Buy Tory Burch TY2085 glasses online at a friendly price. Originally made in 2018, Tory Burch 2085 are lightweight plastic frames. Each pair of authentic Tory Burch glasses ships worldwide with Tory Burch glasses case and a cleaning cloth. Buy Tory Burch TY2084 glasses online at a friendly price. Originally made in 2018, Tory Burch 2084 are lightweight plastic frames. Each pair of authentic Tory Burch glasses ships worldwide with Tory Burch glasses case and a cleaning cloth. Buy Tory Burch TY1057 glasses online at a friendly price. Originally made in 2018, Tory Burch 1057 are lightweight metal frames. Each pair of authentic Tory Burch glasses ships worldwide with Tory Burch glasses case and a cleaning cloth. Buy Tory Burch TY1056 glasses online at a friendly price. Originally made in 2018, Tory Burch 1056 are lightweight metal frames. Each pair of authentic Tory Burch glasses ships worldwide with Tory Burch glasses case and a cleaning cloth. Buy Tory Burch TY1055 glasses online at a friendly price. Originally made in 2018, Tory Burch 1055 are lightweight metal frames. Each pair of authentic Tory Burch glasses ships worldwide with Tory Burch glasses case and a cleaning cloth. Buy Tory Burch TY9052 sunglasses online at a friendly price. Originally made in 2017, Tory Burch 9052 are lightweight plastic frames. Each pair of authentic Tory Burch sunglasses ships worldwide with Tory Burch glasses case and a cleaning cloth. Buy Tory Burch TY9051 sunglasses online at a friendly price. Originally made in 2017, Tory Burch 9051 are lightweight plastic frames. Each pair of authentic Tory Burch sunglasses ships worldwide with Tory Burch glasses case and a cleaning cloth. Buy Tory Burch TY9050 sunglasses online at a friendly price. Originally made in 2017, Tory Burch 9050 are lightweight plastic frames. Each pair of authentic Tory Burch sunglasses ships worldwide with Tory Burch glasses case and a cleaning cloth. Buy Tory Burch TY7117 sunglasses online at a friendly price. Originally made in 2017, Tory Burch 7117 are lightweight plastic frames. Each pair of authentic Tory Burch sunglasses ships worldwide with Tory Burch glasses case and a cleaning cloth. Buy Tory Burch TY7116 sunglasses online at a friendly price. Originally made in 2017, Tory Burch 7116 are lightweight plastic frames. Each pair of authentic Tory Burch sunglasses ships worldwide with Tory Burch glasses case and a cleaning cloth. Buy Tory Burch TY7115 sunglasses online at a friendly price. Originally made in 2017, Tory Burch 7115 are lightweight plastic frames. Each pair of authentic Tory Burch sunglasses ships worldwide with Tory Burch glasses case and a cleaning cloth. Buy Tory Burch TY7114 sunglasses online at a friendly price. Originally made in 2017, Tory Burch 7114 are lightweight plastic frames. Each pair of authentic Tory Burch sunglasses ships worldwide with Tory Burch glasses case and a cleaning cloth. Buy Tory Burch TY7112 sunglasses online at a friendly price. Originally made in 2017, Tory Burch 7112 are lightweight plastic frames. Each pair of authentic Tory Burch sunglasses ships worldwide with Tory Burch glasses case and a cleaning cloth. Buy Tory Burch TY7111 sunglasses online at a friendly price. Originally made in 2017, Tory Burch 7111 are lightweight plastic frames. Each pair of authentic Tory Burch sunglasses ships worldwide with Tory Burch glasses case and a cleaning cloth. Buy Tory Burch TY7110 sunglasses online at a friendly price. Originally made in 2017, Tory Burch 7110 are lightweight plastic frames. Each pair of authentic Tory Burch sunglasses ships worldwide with Tory Burch glasses case and a cleaning cloth. Buy Tory Burch TY6060 sunglasses online at a friendly price. Originally made in 2017, Tory Burch 6060 are lightweight metal frames. Each pair of authentic Tory Burch sunglasses ships worldwide with Tory Burch glasses case and a cleaning cloth. Buy Tory Burch TY6059 sunglasses online at a friendly price. Originally made in 2017, Tory Burch 6059 are lightweight metal frames. Each pair of authentic Tory Burch sunglasses ships worldwide with Tory Burch glasses case and a cleaning cloth. Buy Tory Burch TY6058 sunglasses online at a friendly price. Originally made in 2017, Tory Burch 6058 are lightweight metal frames. Each pair of authentic Tory Burch sunglasses ships worldwide with Tory Burch glasses case and a cleaning cloth. Buy Tory Burch TY6057 sunglasses online at a friendly price. Originally made in 2017, Tory Burch 6057 are lightweight metal frames. Each pair of authentic Tory Burch sunglasses ships worldwide with Tory Burch glasses case and a cleaning cloth. Buy Tory Burch TY4004 glasses online at a friendly price. Originally made in 2017, Tory Burch 4004 are lightweight plastic frames. Each pair of authentic Tory Burch glasses ships worldwide with Tory Burch glasses case and a cleaning cloth. Buy Tory Burch TY2083 glasses online at a friendly price. Originally made in 2017, Tory Burch 2083 are lightweight metal frames. Each pair of authentic Tory Burch glasses ships worldwide with Tory Burch glasses case and a cleaning cloth. Buy Tory Burch TY2082 glasses online at a friendly price. Originally made in 2017, Tory Burch 2082 are lightweight plastic frames. Each pair of authentic Tory Burch glasses ships worldwide with Tory Burch glasses case and a cleaning cloth. Buy Tory Burch TY2081 glasses online at a friendly price. Originally made in 2017, Tory Burch 2081 are lightweight plastic frames. Each pair of authentic Tory Burch glasses ships worldwide with Tory Burch glasses case and a cleaning cloth. Buy Tory Burch TY2080 glasses online at a friendly price. Originally made in 2017, Tory Burch 2080 are lightweight plastic frames. Each pair of authentic Tory Burch glasses ships worldwide with Tory Burch glasses case and a cleaning cloth. Buy Tory Burch TY2079 glasses online at a friendly price. Originally made in 2017, Tory Burch 2079 are lightweight plastic frames. Each pair of authentic Tory Burch glasses ships worldwide with Tory Burch glasses case and a cleaning cloth. Buy Tory Burch TY2078 glasses online at a friendly price. Originally made in 2017, Tory Burch 2078 are lightweight plastic frames. Each pair of authentic Tory Burch glasses ships worldwide with Tory Burch glasses case and a cleaning cloth. Buy Tory Burch TY2077 glasses online at a friendly price. Originally made in 2017, Tory Burch 2077 are lightweight plastic frames. Each pair of authentic Tory Burch glasses ships worldwide with Tory Burch glasses case and a cleaning cloth. Buy Tory Burch TY9049 sunglasses online at a friendly price. Originally made in 2017, Tory Burch 9049 are lightweight plastic frames. Each pair of authentic Tory Burch sunglasses ships worldwide with Tory Burch glasses case and a cleaning cloth. Buy Tory Burch TY7109 sunglasses online at a friendly price. Originally made in 2017, Tory Burch 7109 are lightweight plastic frames. Each pair of authentic Tory Burch sunglasses ships worldwide with Tory Burch glasses case and a cleaning cloth. Buy Tory Burch TY7108 sunglasses online at a friendly price. Originally made in 2017, Tory Burch 7108 are lightweight plastic frames. Each pair of authentic Tory Burch sunglasses ships worldwide with Tory Burch glasses case and a cleaning cloth. Buy Tory Burch TY7106 sunglasses online at a friendly price. Originally made in 2017, Tory Burch 7106 are lightweight plastic frames. Each pair of authentic Tory Burch sunglasses ships worldwide with Tory Burch glasses case and a cleaning cloth. Buy Tory Burch TY7105 sunglasses online at a friendly price. Originally made in 2017, Tory Burch 7105 are lightweight plastic frames. Each pair of authentic Tory Burch sunglasses ships worldwide with Tory Burch glasses case and a cleaning cloth. Buy Tory Burch TY6055 sunglasses online at a friendly price. Originally made in 2017, Tory Burch 6055 are lightweight metal frames. Each pair of authentic Tory Burch sunglasses ships worldwide with Tory Burch glasses case and a cleaning cloth. Buy Tory Burch TY6054 sunglasses online at a friendly price. Originally made in 2017, Tory Burch 6054 are lightweight metal frames. Each pair of authentic Tory Burch sunglasses ships worldwide with Tory Burch glasses case and a cleaning cloth. Buy Tory Burch TY2076 glasses online at a friendly price. Originally made in 2017, Tory Burch 2076 are lightweight plastic frames. Each pair of authentic Tory Burch glasses ships worldwide with Tory Burch glasses case and a cleaning cloth. Buy Tory Burch TY2075 glasses online at a friendly price. Originally made in 2017, Tory Burch 2075 are lightweight plastic frames. Each pair of authentic Tory Burch glasses ships worldwide with Tory Burch glasses case and a cleaning cloth. Buy Tory Burch TY2074 glasses online at a friendly price. Originally made in 2017, Tory Burch 2074 are lightweight plastic frames. Each pair of authentic Tory Burch glasses ships worldwide with Tory Burch glasses case and a cleaning cloth. Buy Tory Burch TY1054 glasses online at a friendly price. Originally made in 2017, Tory Burch 1054 are lightweight metal frames. Each pair of authentic Tory Burch glasses ships worldwide with Tory Burch glasses case and a cleaning cloth. Buy Tory Burch TY9048 sunglasses online at a friendly price. Originally made in 2016, Tory Burch 9048 are lightweight plastic frames. Each pair of authentic Tory Burch sunglasses ships worldwide with Tory Burch glasses case and a cleaning cloth. Buy Tory Burch TY9047 sunglasses online at a friendly price. Originally made in 2016, Tory Burch 9047 are lightweight plastic frames. Each pair of authentic Tory Burch sunglasses ships worldwide with Tory Burch glasses case and a cleaning cloth. Buy Tory Burch TY9046 sunglasses online at a friendly price. Originally made in 2016, Tory Burch 9046 are lightweight plastic frames. Each pair of authentic Tory Burch sunglasses ships worldwide with Tory Burch glasses case and a cleaning cloth. Buy Tory Burch TY7104 sunglasses online at a friendly price. Originally made in 2016, Tory Burch 7104 are lightweight plastic frames. Each pair of authentic Tory Burch sunglasses ships worldwide with Tory Burch glasses case and a cleaning cloth. Buy Tory Burch TY7103 sunglasses online at a friendly price. Originally made in 2016, Tory Burch 7103 are lightweight plastic frames. Each pair of authentic Tory Burch sunglasses ships worldwide with Tory Burch glasses case and a cleaning cloth. Buy Tory Burch TY7102 sunglasses online at a friendly price. Originally made in 2016, Tory Burch 7102 are lightweight plastic frames. Each pair of authentic Tory Burch sunglasses ships worldwide with Tory Burch glasses case and a cleaning cloth. Buy Tory Burch TY7101 sunglasses online at a friendly price. Originally made in 2016, Tory Burch 7101 are lightweight plastic frames. Each pair of authentic Tory Burch sunglasses ships worldwide with Tory Burch glasses case and a cleaning cloth. Buy Tory Burch TY7099 sunglasses online at a friendly price. Originally made in 2016, Tory Burch 7099 are lightweight plastic frames. Each pair of authentic Tory Burch sunglasses ships worldwide with Tory Burch glasses case and a cleaning cloth. Buy Tory Burch TY7095 sunglasses online at a friendly price. Originally made in 2016, Tory Burch 7095 are lightweight plastic frames. Each pair of authentic Tory Burch sunglasses ships worldwide with Tory Burch glasses case and a cleaning cloth. Buy Tory Burch TY6053 sunglasses online at a friendly price. Originally made in 2016, Tory Burch 6053 are lightweight plastic frames. Each pair of authentic Tory Burch sunglasses ships worldwide with Tory Burch glasses case and a cleaning cloth. Buy Tory Burch TY6052 sunglasses online at a friendly price. Originally made in 2016, Tory Burch 6052 are lightweight metal frames. Each pair of authentic Tory Burch sunglasses ships worldwide with Tory Burch glasses case and a cleaning cloth. Buy Tory Burch TY6051 sunglasses online at a friendly price. Originally made in 2016, Tory Burch 6051 are lightweight metal frames. Each pair of authentic Tory Burch sunglasses ships worldwide with Tory Burch glasses case and a cleaning cloth. Buy Tory Burch TY6048 sunglasses online at a friendly price. Originally made in 2016, Tory Burch 6048 are lightweight metal frames. Each pair of authentic Tory Burch sunglasses ships worldwide with Tory Burch glasses case and a cleaning cloth. Buy Tory Burch TY2072 glasses online at a friendly price. Originally made in 2016, Tory Burch 2072 are lightweight plastic frames. Each pair of authentic Tory Burch glasses ships worldwide with Tory Burch glasses case and a cleaning cloth. Buy Tory Burch TY2071 glasses online at a friendly price. Originally made in 2016, Tory Burch 2071 are lightweight plastic frames. Each pair of authentic Tory Burch glasses ships worldwide with Tory Burch glasses case and a cleaning cloth. Buy Tory Burch TY2070 glasses online at a friendly price. Originally made in 2016, Tory Burch 2070 are lightweight plastic frames. Each pair of authentic Tory Burch glasses ships worldwide with Tory Burch glasses case and a cleaning cloth. Buy Tory Burch TY2069 glasses online at a friendly price. Originally made in 2016, Tory Burch 2069 are lightweight plastic frames. Each pair of authentic Tory Burch glasses ships worldwide with Tory Burch glasses case and a cleaning cloth. Buy Tory Burch TY2068 glasses online at a friendly price. Originally made in 2016, Tory Burch 2068 are lightweight plastic frames. Each pair of authentic Tory Burch glasses ships worldwide with Tory Burch glasses case and a cleaning cloth. Buy Tory Burch TY2067 glasses online at a friendly price. Originally made in 2016, Tory Burch 2067 are lightweight plastic frames. Each pair of authentic Tory Burch glasses ships worldwide with Tory Burch glasses case and a cleaning cloth. Buy Tory Burch TY2066 glasses online at a friendly price. Originally made in 2016, Tory Burch 2066 are lightweight plastic frames. Each pair of authentic Tory Burch glasses ships worldwide with Tory Burch glasses case and a cleaning cloth. Buy Tory Burch TY2065 glasses online at a friendly price. Originally made in 2016, Tory Burch 2065 are lightweight plastic frames. Each pair of authentic Tory Burch glasses ships worldwide with Tory Burch glasses case and a cleaning cloth. Buy Tory Burch TY1053 glasses online at a friendly price. Originally made in 2016, Tory Burch 1053 are lightweight metal frames. Each pair of authentic Tory Burch glasses ships worldwide with Tory Burch glasses case and a cleaning cloth. Buy Tory Burch TY7093 sunglasses online at a friendly price. Originally made in 2016, Tory Burch 7093 are lightweight plastic frames. Each pair of authentic Tory Burch sunglasses ships worldwide with Tory Burch glasses case and a cleaning cloth. Buy Tory Burch TY7092 sunglasses online at a friendly price. Originally made in 2016, Tory Burch 7092 are lightweight plastic frames. Each pair of authentic Tory Burch sunglasses ships worldwide with Tory Burch glasses case and a cleaning cloth. Buy Tory Burch TY6049 sunglasses online at a friendly price. Originally made in 2016, Tory Burch 6049 are lightweight metal frames. Each pair of authentic Tory Burch sunglasses ships worldwide with Tory Burch glasses case and a cleaning cloth. Buy Tory Burch TY2064 glasses online at a friendly price. Originally made in 2016, Tory Burch 2064 are lightweight plastic frames. Each pair of authentic Tory Burch glasses ships worldwide with Tory Burch glasses case and a cleaning cloth. Buy Tory Burch TY2063 glasses online at a friendly price. Originally made in 2016, Tory Burch 2063 are lightweight plastic frames. Each pair of authentic Tory Burch glasses ships worldwide with Tory Burch glasses case and a cleaning cloth. Buy Tory Burch TY1048 glasses online at a friendly price. Originally made in 2016, Tory Burch 1048 are lightweight metal frames. Each pair of authentic Tory Burch glasses ships worldwide with Tory Burch glasses case and a cleaning cloth. Buy Tory Burch TY9044 sunglasses online at a friendly price. Originally made in 2016, Tory Burch 9044 are lightweight plastic frames. Each pair of authentic Tory Burch sunglasses ships worldwide with Tory Burch glasses case and a cleaning cloth. Buy Tory Burch TY7086 sunglasses online at a friendly price. Originally made in 2016, Tory Burch 7086 are lightweight plastic frames. Each pair of authentic Tory Burch sunglasses ships worldwide with Tory Burch glasses case and a cleaning cloth.